How to Become a Sheriff in Alabama? Alabama is home to 67 sheriffs, all unified under the prestigious Alabama Sheriffs Association. Created in 1889, the ASA is an institution with the purpose of voicing and protecting the rights of the citizens of Alabama and its visitors. The Association provides educational, legal and legislative aid to the sheriffs in the state. If you are interested in joining this organization as a sheriff, the following information would be of great use to you. Note: Sheriffs are elected in Alabama. Most counties elect sheriffs for a term of four years, though it may be less in some areas. The requirements and methods to become a sheriff vary according to each county; therefore you are advised to check for information with the county you intend to apply for. The information contained in this article should be considered as a general guideline. If you are in the process of getting your citizenship, you will have to wait till the process is complete, to be eligible to apply. Some counties may have different age limits – for instance, some might require you to be at least 21 years old. 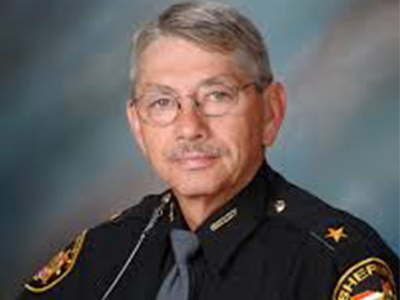 The county you are applying in for the sheriff’s office may have residency requirements. To know more about this policy in your county, you would need to visit the website of your county’s sheriff’s office. Even though higher education is not mandatory, having some college level education always helps in conducting the duties of a sheriff. As with all law enforcement related occupations, being in good shape is a must. Since it is a law enforcement position, you would need extensive training in areas such as the use of firearms, crowd controlling, witness questioning, and crime scene management and so on. For this purpose, the ideal way to start would be to graduate from a police academy. Some counties might have their own training programs, which would enable you to skip the police academy. Once you have completed the police academy, you will have to work in the law enforcement sector to get some experience. Working as an officer might be the most ideal way to get the best kind of field experience. However, some jurisdictions might allow working as a judge to be substituted for police work. The length of this experience requirement could be anywhere between one year and a few years. Though this step is not mandatory, it is highly recommend that you invest some time and effort in getting a higher educational qualification. A bachelor’s degree in criminal justice for instance or any other law enforcement field would add greatly to your skill set. In addition to that, it will also make the voters feel more confident in your suitability for the position. Your county will have a specific series of tests for you to clear before becoming eligible to apply. These would typically include a written examination, an interview, a complete background check and a physical fitness exam. Conduct your research as to what your county requires exactly. After meeting all the county-specific requirements, you would need to complete all your paperwork for application and submit it to the county courthouse. Make sure your application package is complete and you submit it before the deadline. You will need to plan this phase well in advance, since this is the most important and crucial part. Put together a team to help you campaign and conduct the fundraising activities. Make sure you get your message across to the county residents via fliers, media interviews, newspaper articles and so on. If you manage to win, you will be asked to take an oath of loyalty before beginning your job. Once this is done, you will sign a contract and assume office for four years. After four years, you may go for re-election. How much does a sheriff make in Alabama? According to 2017 data from the US Bureau of Labor Statistics, police and sheriff’s patrol officers made an annual mean wage of $44,490, which is lower than the national average. The exact information on salary and benefits for sheriffs would be available on the county websites for most jurisdictions.